Montville, Connecticut is a rural town that has the heart of a big city. Montville has an excellent school system, safe neighborhoods, and a thriving local downtown; it is an easy commute to large cities, and is home to global industries! Whether you are a home or business owner in Montville, you can be sure that the pest control professionals at Big Blue Bug Solutions have what you need to keep your property free of nuisance, dangerous, and damaging pests. Ants, mosquitoes, ticks, spiders, roaches, and more are no match for the dedicated and experienced professionals here at Big Blue Bug Solutions. Whatever the pest, whatever the problem, we have a safe, effective, and affordable solution! It is a common misconception that because you live in New England, year-round pest control is not needed. But, the truth is that pests are a year-round problem no matter if you are living in warm sunny Florida or in the slightly less warm state of Connecticut. The best way to protect your home and family from common household pests that can spread disease, damage the structure of your house, and contaminate food sources is to put in place a year-round pest control program. Year-round pest control means that any pests that are currently living in your Montville home will be found, treated, and eliminated; and future pests will think twice about invading your home whether it is spring, summer, fall, or winter! At Big Blue Bug Solutions our Home Owner’s Policy (HOP) provides customers with three visits per year from our experienced and friendly technicians, preventative treatments, on-going monitoring of susceptible areas, and the guarantee that if pests become a problem in-between our visits we will return at no additional charge to you! It is not just homeowners that need to worry about pests here in Montville. Business owners also need to be aware of pest pressures and put in place a professional commercial pest control program. Professional pest control will help to protect your business's brand, inventory, building, employees, customers, and reputation from damages due to pests. At Big Blue Bug Solutions we can provide the services you need to keep your commercial property free of dangerous and damaging pests. Our Monthly Maintenance Program provides once a month visits to your commercial facility, monitoring services to look for pest activity, preventative treatments, and the peace of mind that comes from knowing that if any problems are discovered during a visit, they will be taken care of immediately. Other commercial pest control services that we provide include: Drain Cleaning, Bed Bug Solutions, Termite Solutions, and Wildlife Solutions. From tiny ants to big raccoons we have your business covered! Mosquitoes and ticks are problematic in cities and towns across Connecticut, including right here in Montville. The best way to protect yourself, your family, and your pets from being bitten by these parasitic pests is to put in place a mosquito and tick reduction program. Because of the nature of both ticks and mosquitoes, there is no way to completely eliminate them or prevent them from getting onto your property; but our mosquito and tick solutions can greatly reduce their numbers and make spending time outside in your yard enjoyable once again. Our mosquito and tick solution includes a thorough inspection of your property to help identify any breeding and resting sites. Our professionals will then treat your yard to reduce breeding sites, along with performing treatments that provide larval control and adult control. Let Big Blue Bug Solutions provide you with the safe treatment needed to reduce mosquito and tick populations throughout their entire active season (May - October). Don’t wait another day; take back your yard from mosquitoes and ticks today! 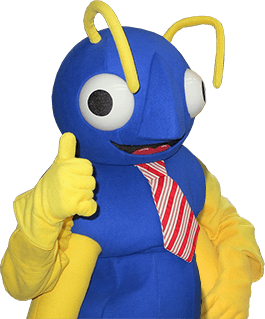 Big Blue Bug Solutions has been committed to providing exceptional, safe, and affordable pest control services for over 80 years. We take pride in treating all of our customers as if they are part of our own family. We understand that each home and business has its own unique needs, which is why we customize all of our pest control programs. At Big Blue Bug Solutions there is no such thing as one-size-fits-all pest control!